Regatta Bergonia Waterproof Jacket is rated 4.1 out of 5 by 8. 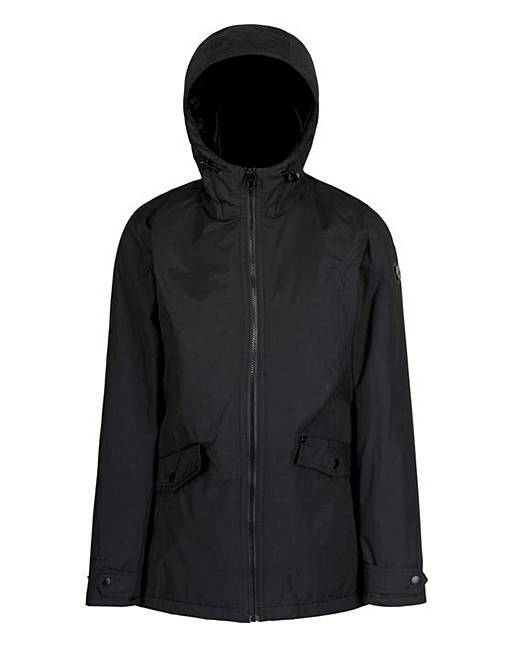 The Regatta Women's/Ladies Bergonia Jacket is a waterproof fur-lined hooded coat. Made of Hydrafort polyester fabric, this jacket provides optimum insulation. 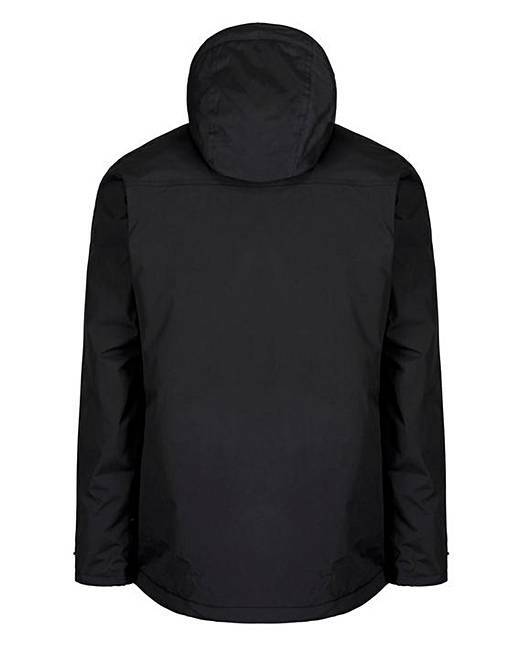 Additionally, the jacket has an internal security pocket along with grown-on hood and 2 lower pockets. With a front zip opening, this jacket is easy to wear and provides a great fit. Rated 3 out of 5 by Scarlet from Waterproof coat Had to send first one back, too small and it was a 30. Ordered the 32, still very snug, cant sit down in it , no room to move. Normal coat l wear size 30, room for two !!!!! Rated 4 out of 5 by susiedee from Nice waterproof jacket Have only worn jacket a couple of times so far. It has proved to be warm and easy to wear. Very pleased! Rated 5 out of 5 by Sooziesooz12 from Winter warmer Bought it at half price would say this was a fantastic bargain. Coat is a great fit and long enough to cover your bum, it's lightweight and warm and waterproof grab it while you can.